Square With Flair™ On the Blues. Tiffany Blue, Of Course. A timely post as Mrs.E. and I just enjoyed a Sunday Mimosas and a Movie at our local theatre. “Breakfast at Tiffany’s” on the big screen, complete with some Audrey styled audience members. Mrs. E. has had many a little blue box during our relationship. They never fail to delight. My youngest has already received her first — “Every girl should have some Tiffany’s in her life!” said the very stylish and chic lady who gave her her birthday gift. How right she was. I should revise her thought to “each of us…” As SWF demonstrates so well, sources of inspiration surround us. Here’s what’s on SWF’s mind. Enjoy. Who doesn’t love Tiffany’s? We always loved it, but it became even dreamier after seeing Audrey Hepburn in “Breakfast at Tiffany’s.” Who could resist the allure and mystique of the place? That big solid building on Fifth Avenue. Looks more like a dignified bank than a merchant of dreams. Who doesn’t want something of Tiffany’s in their life? It started when I was a teenager in the 1970s, living in a small, remote, northern town and dreaming of New York sophistication and perfect taste. I’d save my allowance and send $2.00 to Tiffany’s in New York for their delicious little blue book catalog. It always seemed an eternity until they arrived, but they always did. How I pored over those charming little books for hours, days, weeks…for years! I collected one each year, and I studied them over and over. Boy, that was better than any fine arts course, and I’ve taken plenty of those. Tiffany’s in those days, under design director Van Day Truex, had a level of connoisseurship and taste that has not been equaled. Over the years, the little books have become a little grubby, dog-eared, wrinkled, pages have loosened. But like the “Velveteen Rabbit”, oh so loved. I credit them with training my taste. 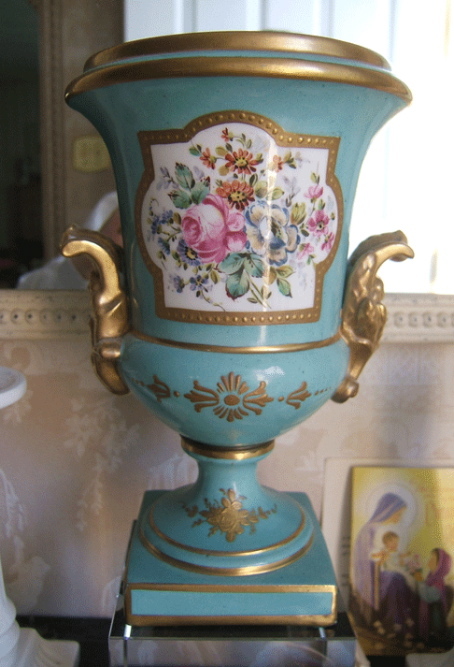 This allowed me to spot many unnoticed treasures in flea markets and antique shops. I am very attached to my vintage Tiffany catalogs, after all I grew up with them, and they in a way, educated me. Thirty-five years later, not only do they continue to be an invaluable design resource and inspiration, but they are charmingly decorative, giving a nice hit of robin’s egg blue, wherever they reside. And, they have become an investment. Recently, older copies from the 60s and 70s have sold for over $100.00 each on the Internet and from fine antiquarian book dealers. Something told me, so many years ago, they would become priceless! 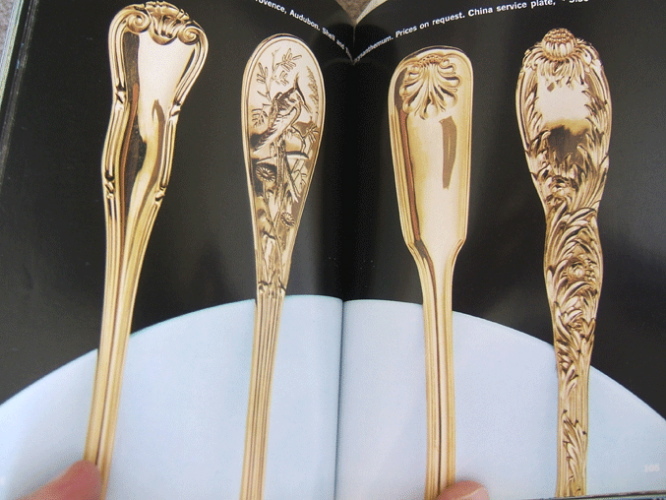 Looking at the 1968-1969 Tiffany Blue Book catalog, I marvel at their classic sterling flatware, which at that time they also offered in exquisite vermeil (gold plated sterling silver). 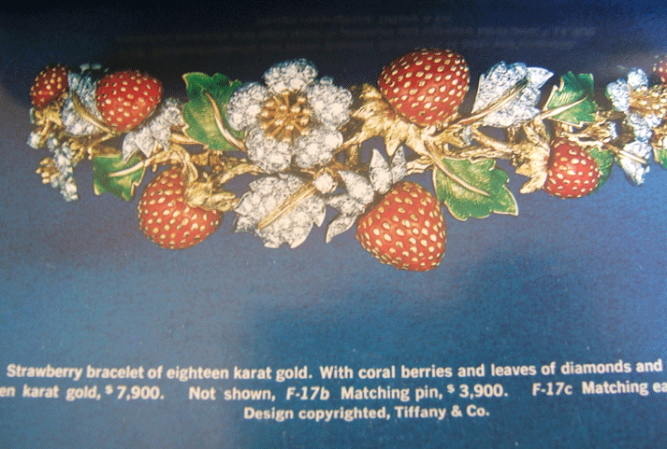 The delicious wild strawberry bracelet of coral, gold, enamel, and diamonds, looks as tempting as it did 40 years ago, and will no doubt look 40 years from now. The chinoiserie bamboo sterling tea set is so delightful and graceful; one wonders why they don’t reissue it. 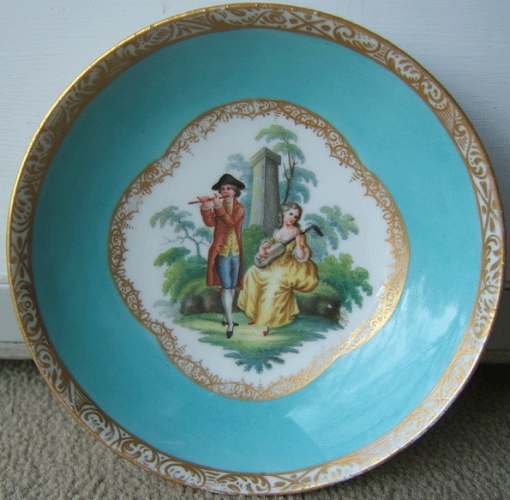 a miniature Louis XV commode, and the wonderful aqua ground continental porcelains of Limoges, Nymphenburg and Meissen. Faithfully, I continue to collect Tiffany’s catalogs. They no longer charge for them, now they are gratis! We live in much more democratic times I suppose. They are still excellent, but not nearly as rarefied. Tiffany no longer carries merchandise by other manufacturers, and now everything is of their own design and label. They used to carry Rolex, Patek, Royal Crown Derby, Spode, Meissen, Flora Danica of Copenhagen, etc. But no longer. Still wonderful, but lacking the cachet of the Van Day Truex era. But who knows, years from now, the Tiffany’s blue book of the 21st century may also be as collectable and sought after as the old ones now are. In a grouping they still make a wonderful design statement! I highly recommend going in and getting one each season. Incidentally, the catalogs of many other design houses, such as Hermes, also become valuable in time. Quality always retains value. A thing of beauty is a joy forever…. This entry was posted in Cultivating and tagged "Breakfast at Tiffany's", Audrey Hepburn, Christian Dior, Flora Danica of Copenhagen, Hermès, Limoges, Louis XV, Meissen, Nymphenburg, Patek, Rolex, Royal Crown Derby, Spode, Tiffany & Co., Van Day Truex, Velveteen Rabbit. Bookmark the permalink. 23 Responses to Square With Flair™ On the Blues. Tiffany Blue, Of Course. Wonderful post. Thank you, SWF! Wow! I remember my mother getting the catalogues, but I sure didn’t save them. I wish I had. That bamboo set is just stunning. Square… have you read Van Day Truex’s biography? It’s so interesting. Thank you for the carriage ride through Tiffany’s Square. I felt like Audrey on Fifth peering in at your private collection through gorgeous glass avec Champagne flute with bubbly.. This was an era of elegance and you have brought it back by sharing. Great post! I love that Dior sweater! Sounds like we lived in the same sort of town. Catalogs as a bridge to …..? Thanks for an interesting retrospective of Tiffany catalogs. I love what I call ‘casual collections’–collections of things that are of particular personal interest and that, as you say, have helped to form one’s taste, train our eye, or educate us in matters of design and style. I am a firm believer that we are what we eat–not only what we put in our mouths but also sensory input. There is much to be learned from browsing Tiffany, Asprey, or Sotheby catalogs. Focusing on beauty, natural or man-made, feeds the mind as well as the soul. 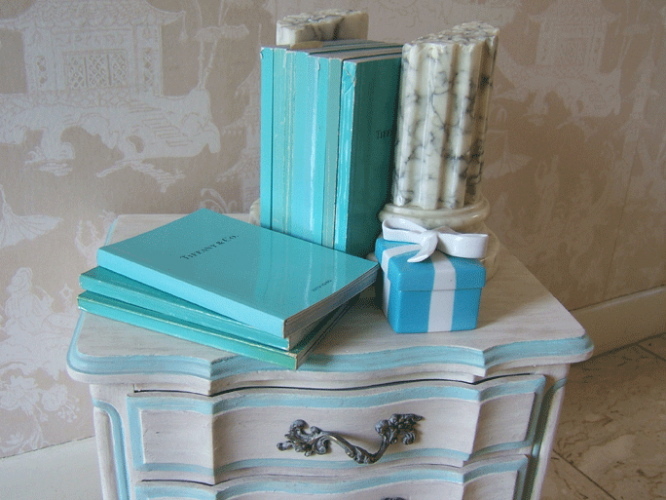 How much more interesting and inviting a little stack of vintage Tiffany catalogs is on a bedside table than a dismal stack of People magazines! My matchbook collection sits on the kitchen counter in a glass jar with a lid. It brings me such pleasure, and it is great to pick through and remember places visited, meals eaten, hotels and country inns . . . great memories from our travels! Plus, they are so stylish. It is a shame hardly anyone even offers matches any more–all this obsessing over second hand smoke has pretty much ruined the matchbook business! I have had personalized matchbooks made for our lovely home. Guests are tickled and pick up a book and take them home! No one smokes, but we do light Diptique candles! (And if a guest did smoke, I wouldn’t hide the kids). Great post, darling vintage catalogs! Postscript: My box of matches from Windows on the World (World Trade Center) is the most perfect keepsake from what was my first trip into NY as a 20 year-old. I will never forget that long ride up the elevator with my uncle and younger brother, having no idea where I was going . . . he was the most sophisticated man, a real New Yorker, a corporate man, a self-made success at the top of his game. I remember looking out the windows–I had never seen anything like it in my life. All the more special now, a small match box, since 9/11. They trigger such an emotional response every time. There any many things from the past Tiffany should reissue, that bamboo-style coffee service among them. Why such successful designs should rest, unloved, in the archives is beyond me. 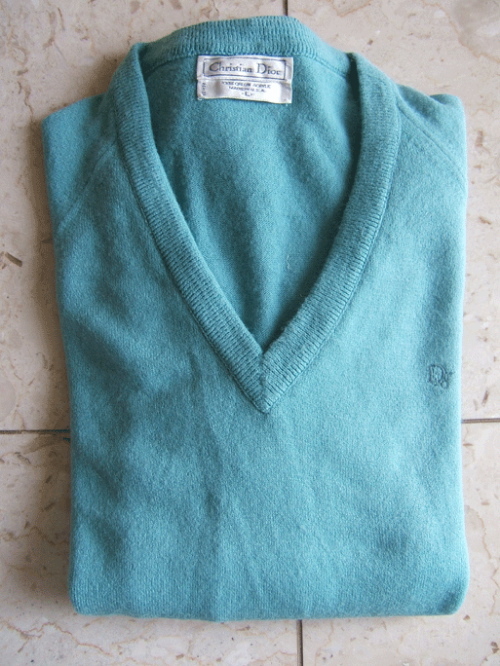 I’m loving this unusal blue colour – would you call this duck-egg blue or do you normally call is Tiffany blue? I’m so impressed with your keen eyes for colours. Who said men are colour blind?!! Hello G-M Jones, that particular shade is Tiffany Blue here at the manse. Perhaps Robin’s Egg or sky blue elsewhere? Rest assured, the only matches we set out are our own (personalized)–the ones I collect stay in a jar on the kitchen counter. Totally agree regarding setting out matches from tony restaurants–sort of like wearing all the logo clothing from the country club. I am looking to replace a Tiffany gold bow with pearl pendant my girlfriend (now wife lost) some years ago. It is from a holiday catalog circa 1992 or 1993. Any chance you have a picture of it? Hi. I am trying to get a picture from a 1996 Tiffany catalog. It is a sterling silver money clip with a pair of skis on the front – I gave it to my husband as a wedding gift in 1996 and he recently lost it. I want to try to have someone recreate it. I called Tiffany, and they told me they no longer make it and didn’t have a picture. Do you have the old catalog or any advice for me? Gosh, I’m not much help here. A quick web search didn’t turn up anything. I think I remember that pattern though. Crossed Skis on a paperclip in sterling sort of? 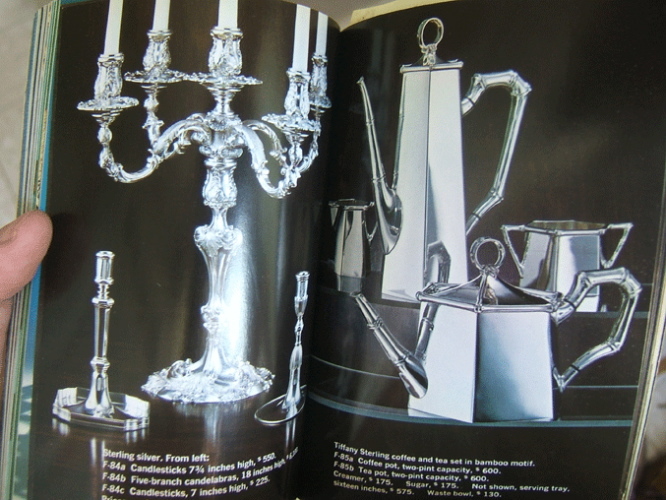 You might try eBay for the 1966 catalogue or sketch something out and take to your silversmith. Can anyone else shed some light on the topic? 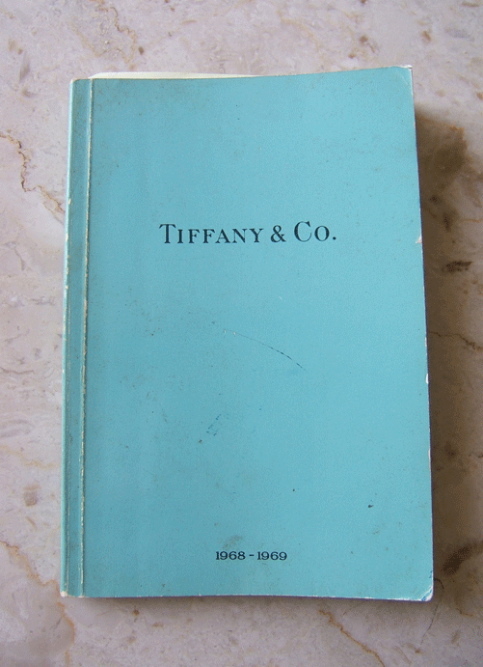 I found a 1908 Tiffany Blue Book in nice condition. 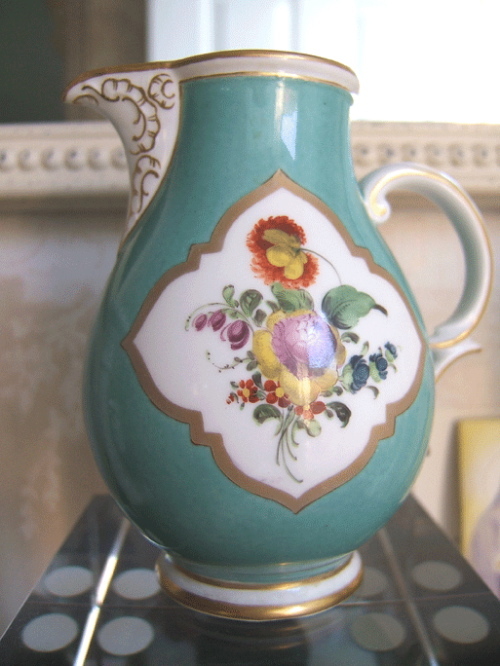 Do you know of someone who may be able to put a value on it as I would like to sell it. Hi Staci, I’m not sure. You might check with Square with Flair. He has his own site. Follow the link on my blogroll. Thanks! I am awestruck at the strawberry bracelet shown. It is just a beautiful piece of craftsmanship. (Hard to find that in many things these days.) I started receiving the Tiffany catalogues by snail mail many years ago when I made my first online Tiffany purchase of two silver chains. They didn’t cost much, I was surprised. They were actually gifts for two friends. I can’t wear silver, it turns my skin black. (This is an oxidation process that occurs only in some people, depending on their own personal body chemistry.) My husband gave me the gold heart pendant from Tiffanys a few years ago for a wedding anniversary. (He knows me well!) So we always receive the annual catalog around the holidays. I so look forward to it. I have kept them all, even the outer envelopes they come in. These were just “wishbooks” for me, really. However, I have since seen people selling them on Ebay. I never expected the catalogues would be valuable. I also love their print ads in magazines. They do evoke a feeling of fine elegance and living. Thanks so much for your well-written article and photos! Jacqueline. Go find Square with Flair’s blog. He’s very good. There’s a link on my sidebar. Thanks for browsing along with me. 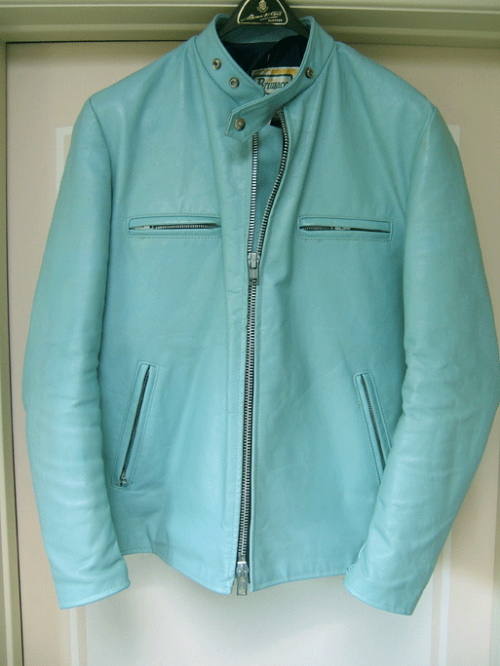 Hi, is that aqua colored 1960s cafe racer style leather motorcycle jacket for women or men? Sorry, but it’s quite tricky for me to see. Hi could you please share with me your photo of 1995-1998 Vannerie gold jewelry? I would like to see the bracelet watch of that serie, especially the watch that was hidden in a bracelet style. Thanks so much! I collect the blue book from 2010, it’s really nice to look at!